Sarah P. weaves moody timbres and sparse textures with narrative-driven dream pop impressionism as her EP Maenads’ experimentalist efforts make for an introspective listen. Innovative songstress Sarah P. (former Keep Shelly in Athens frontwoman) returned to the music scene this wwinter with an intriguingly unorthodox five-track EP that acts as both an exploration of humanity and a vessel for shedding new light on the artist’s Greek heritage, which finally makes its way into her music. 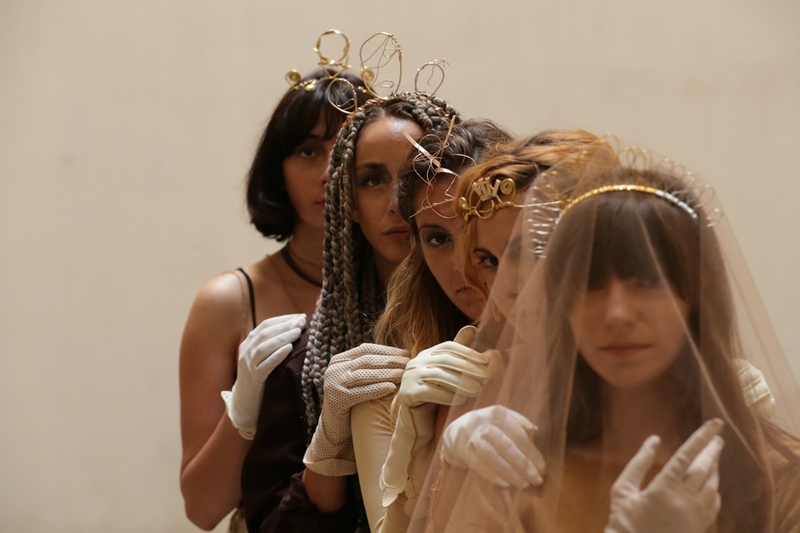 Borrowing its title from Greek mythology, “Maenads” are the female followers of the God Dionysus, the God of wine, fertility, ritual madness, and theater – the latter being a large part of Sarah P.’s identity as a drama student herself. Released December 14, 2018, Maenads is an accessible and moving piece of work characterized by an inherent sense of mysticism and mystery that truly transports all who listen into the small, parallel universe Sarah P. creates for you. The EP is nothing if not uncommon and original; its musicality stands out as a flirtation between alternative and dream pop, even though the artist herself refuses to classify her own music, as to do so would take away from the magic and freedom of just listening and allowing it to invade you. In her own words, Maenads truly represents Sarah’s identity in a way that her previous works don’t, forming a basis around her individuality and unique voice as an artist. Stream: ‘Maenads’ – Sarah P.
The EP opens with “Sappho’s Leap,” inspired by and rooted within traditional Greek poetry and ultimately setting the tone for the entire listening experience. Sarah P. then subsequently hits us with the out-of-the-ordinary, somewhat gloomy, yet soothing sounds of her lullaby “Mneme” – an ode to what could perhaps be a past relationship, resonating with whimper of a broken heart. 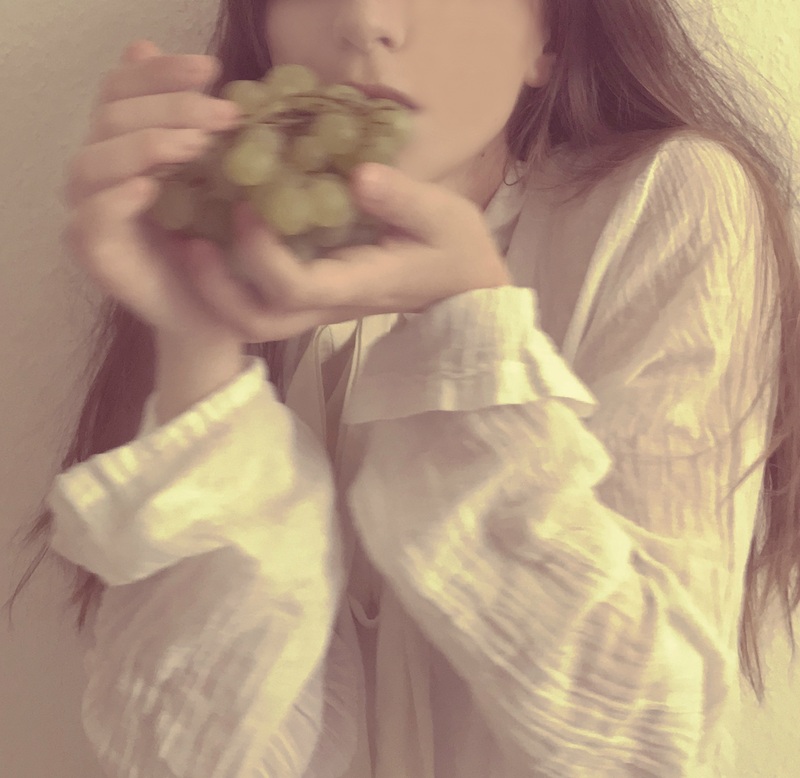 Maenads’ third track, “Lotus Eaters,” is similarly evocative. In it, Sarah P. explores the constant need we as humans have to rely on something greater than ourselves, be it a God, a politician, or any kind of self-proclaimed savior, when all humanity really needs is “ourselves and each other,” in the artist’s own words. “Cybele’s Dream” is a true example of just how intimate and personal the EP is for Sarah. Throughout the track, she weaves a compelling narrative, from the perspective of a young girl, centered around the experienced hardship of fleeing one’s own homeland. Sarah P. is, in fact, addressing the current global refugee situation with this song – a situation that in her view is both unfair and a sad representative of our inability to learn from history and our past mistakes as a society. Sincere and interesting in its lack of conventionally, Maenads seems to set the tone for whatever is coming next for Sarah P. It is as though every new project we see of hers is a puzzle piece that will gradually show us a larger picture, leaving one to presume that a great and exciting reveal is inevitably coming our way. Throughout her music, Sarah P. explores not just her heritage and personal history, but also the nature of femininity, the underlying power we each possess within ourselves, and indeed, what it means to be human.